We have just started a new product category on our website called Dell Outlet. So, what exactly is Dell Outlet all about? Dell has products which are from cancelled orders, surplus stock or simply refurbished devices. The great news is that this is premium quality Dell refurbished laptops, computers and monitors, certified by Dell and backed with their 12mth factory warranty, allowing you to get the same value and reliability that you would if you purchase a brand-new Dell. The type of devices in our Dell Outlet category and current or recently superseded models, giving huge savings to our customers. 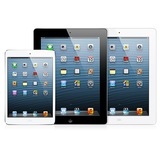 The stock is in new or near new condition and comes with all the original accessories. We are starting with a range of Dell refurbished laptops at better than outlet prices and will be expanding the offering over the next few months. If you have been considering a brand-new Dell laptop or computer, make sure you always check the deals in our Dell Outlet refurbished product category to see if your model is there. If not, give us a call or send an email and we can source one for you with an obligation free quote. For home, school or work we have Dell Outlet refurbished laptop, computer or monitor to suit your need. 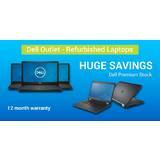 Browse our Dell refurbished outlet page now as stock is limited. Stock ships fast Australia wide from our warehouse in Melbourne.